The Kensington Adjustable Laptop Stand features our patented SmartFit® System to raise your laptop screen to the perfect height for you. 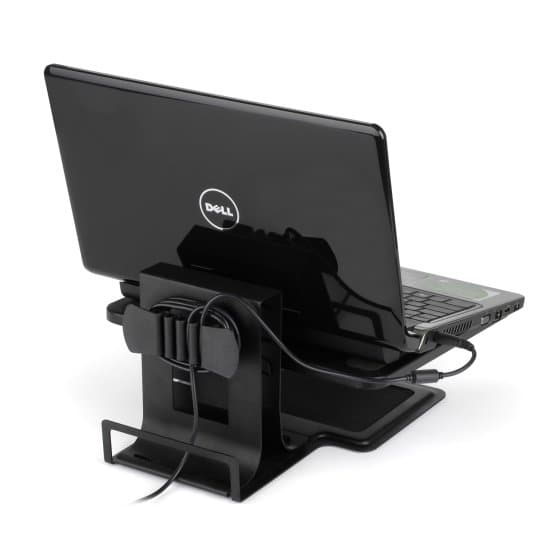 The platform is designed to hold virtually any laptop or netbook and includes smart cable management to reduce cable clutter. 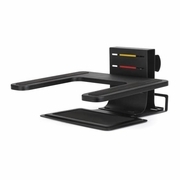 Plus it's designed to accommodate Kensington SD120, SD300v, or SD400v docking stations for a total desktop docking solution.